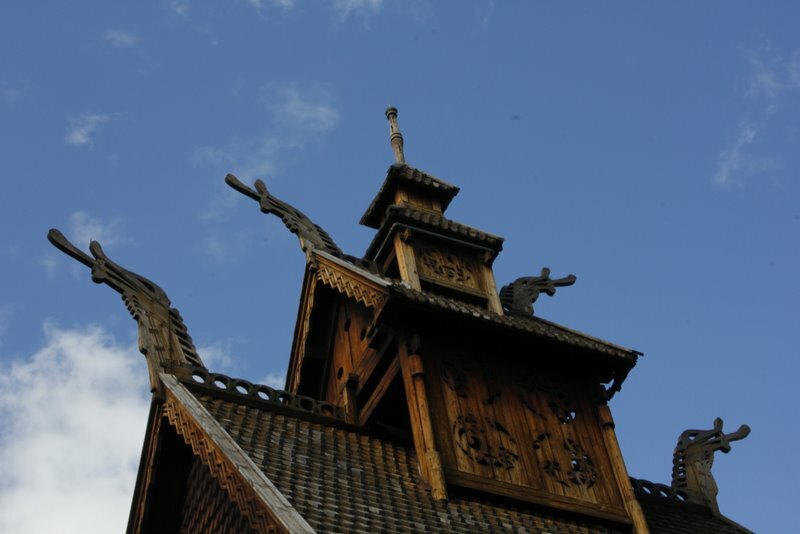 Norway’s largest muse­um of cul­tur­al his­to­ry fea­tur­ing the world’s old­est open air muse­um and large indoor col­lec­tions. I learnt that col­or pho­tog­ra­phy is old­er than I thought: Norway 1910 – in Colour: An exhi­bi­tion of the first col­or doc­u­men­ta­tion from Norway, from Albert Kahn’s Archives de la plan­et in Paris. Some parts of Norway reminds me of Tyrol. I had to think that when I was small the straw weren’t big bale of straws whe can see every­where in the world which look the same way. We called them Straw men because they looked like man with a gown. Outside they built hous­es from all over Norway. I have to admit that I become tired after 3 hours and I would rec­om­mend, come ear­ly, take some­thing to eat with you, make reg­u­lary breaks … or come twice. I was too tired to go to the house of the mid­dle ages and I missed the one or oth­er parts. But I would have loved more expla­na­tions on the hous­es and the way they lived there. Or how long a house with gras on the roof sur­vives? Why did they have sleep­ing hous­es and how many slept inside and why were no win­dows in this house? And so on and so forth. I want to under­stand and they weren’t very in explain­ing. But the hous­es and the wood­en church are def­i­nite­ly worth to be seen. I’ve nev­er seen pic­tures of log cab­ins like these! I too wish they had some labels.